Seeing those words on the end credits of The Emoji Movie is the best part of The Emoji Movie. 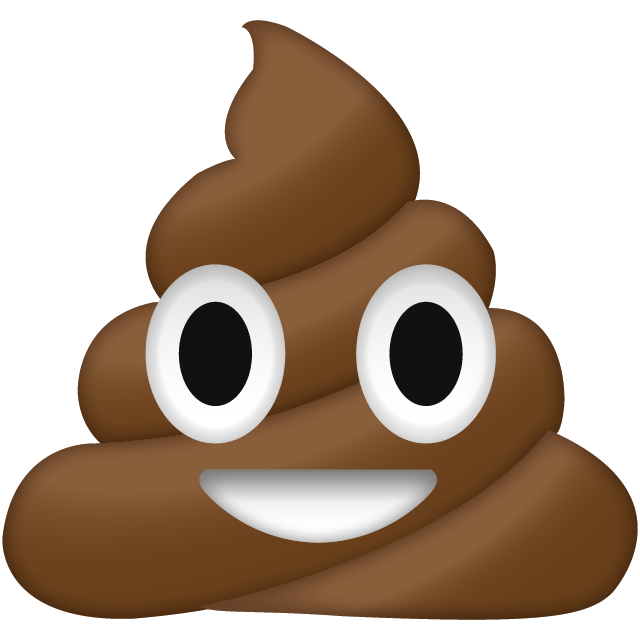 When Sir Patrick Stewart was first announced to be voicing a sentient turd emoji, it seemed to (very temporarily) relieve some of the concerns audiences had regarding The Emoji Movie, since it seemed to hint that perhaps the film had some sense of creative fun about it, juvenile though it may have been. 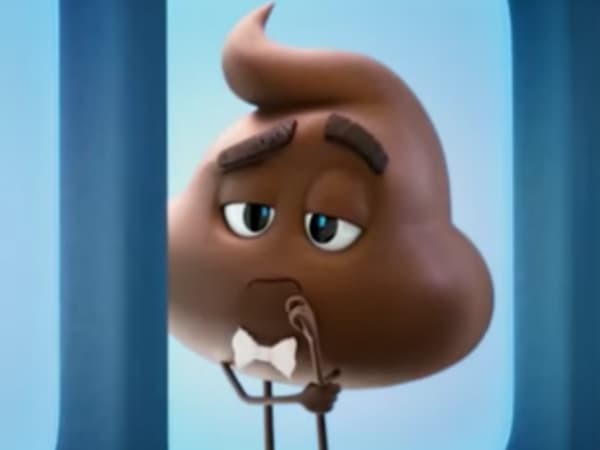 Sadly, the classy vocals of Sir Patrick Stewart emanating from Poop is the one tiny spark of inspiration that The Emoji Movie possesses, and even it is wasted, as the good Sir Poop only has a small handful of lines in the film’s entirety. So the one promising thing The Emoji Movie had going for it is wasted, and everything else, well… it’s bad. 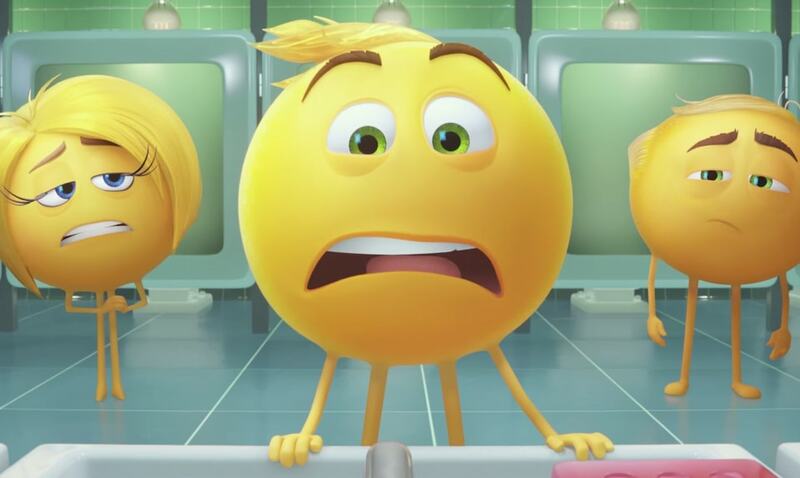 I went to see The Emoji Movie with two of my friends (I didn’t want to suffer alone), whose responses after the movie ranged from “that felt longer than Peter Jackson’s King Kong” to “I feel empty. Not angry, not sad. Just empty.” I found myself actually face-palming during many of the film’s cringe-worthy jokes, and trying my damnedest to not burst out with laughter at the film’s utterly dumbfounding resolution. This, my friends, is one of the worst animated movies ever made (with the only thing preventing me from hailing it as the worst being the fact that I’ve seen Food Fight!, so at the very least, The Emoji Movie has that going for it). 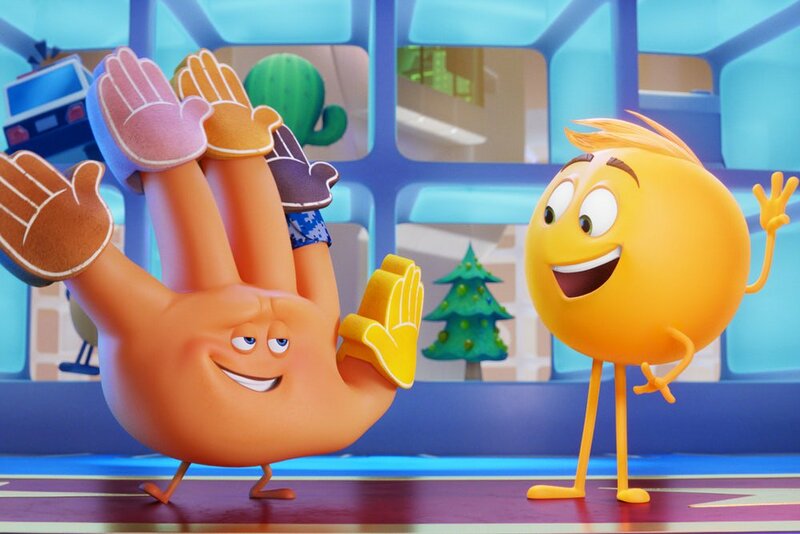 The Emoji Movie desperately – and I mean desperately – wants to be a Pixar-style film. The director, Tony Leondis, is a confessed fan of Pixar films (of course, saying one enjoys Pixar films is like saying you’re a carbon-based, oxygen-breathing life form). In fact, Leondis has admitted that the inspiration for the film stemmed from trying to come up with a modern-day equivalent to Toy Story at the same time he received a text message that featured an emoji. That already seems like a pretty lazy “eureka” moment, but it also just isn’t an idea that can support an entire movie and have any kind of emotional resonance. Toy Story works because, as children, we love our toys. They help bring life to our imaginations, inspire creativity, and even introduce us to storytelling. Children form bonds with their toys that can sometimes be difficult for adults to remember; but something like Toy Story reminds us exactly why these little plastic objects once meant so much to us, while also telling stories that reflect human emotions even for us adults. By contrast, emojis are little faces we put into text messages. That’s really it. They can be cute, sweet or funny in certain contexts, but I can safely say I’ve never felt emotionally attached to an emoji. If Leondis really wanted to find the more contemporary equivalent to toys, video games are kind of a thing these days. Though I suppose Wreck-It Ralph already beat him to the punch on that one. I believe almost any concept can be made into a decent enough movie in the right hands. But there are certain concepts that I think can only be good under more specific circumstances. The Emoji Movie is one of those instances. If this were a parody of Toy Story and its ilk, The Emoji Movie may have been able to find some footing. But in seriously trying to turn a concept like emojis into something in the vein of Toy Story or Inside Out, it just comes off as bottom of the barrel material, and you can’t take it seriously. Oh right, the plot. So The Emoji Movie primarily takes place in the world of Textopolis, a city inside of the smart phone of a teenage boy named Alex (Jake T. Austin). Here, every emoji only knows one thing: sad emojis are sad, angry emojis are angry, Christmas Tree emojis are festive, and poop emojis… apparently class up the place because they’re voiced by Sir Patrick Stewart. Anyway, there’s one emoji who’s different from the rest, Gene (T.J. Miller), who is supposed to be a “meh” emoji, but finds himself being far more expressive, capable of showing more emotions than just “meh.” This proves problematic, because every emoji’s job is to stand in a box and make their one specific face when their user needs said emoji. On his first day on the job, Gene panics, and ends up making a weird face instead of the desired “meh,” and ends up being labelled a malfunction. Textopolis’ dictator-esque Smiler (Maya Rudolph), a smiling emoji, then demands that Gene be deleted from the phone. Gene then becomes an outlaw, on the run from Smiler’s bots. It’s then that Gene befriends High-Five (James Corden), a disturbingly hand-shaped emoji who wishes to be popular again, after he’s seen less uses in text messages in favor of Fist-Bump. The duo plans to reprogram Gene with the help of an infamous hacker named Jailbreak (Anna Faris), who is secretly a princess emoji, and possibly the most obnoxiously shoehorned example of faux-feminism in recent movie history (complete with blue hair and lipstick, and a hipster beanie, because God forbid a woman be the slightest bit feminine). No, seriously. This character really is terrible. In one instance she delivers a laughably forced bit of dialogue about trying to break stereotypes of female emojis only being able to be princesses and brides (despite the film already featuring many female emoji who do not fill those roles, including Smiler, the ruler of Textopolis). Besides, aren’t emoji just genderless faces anyway? If an emoji bride or princess looks feminine, that’s only because those are gender-specific positions that happen to be feminine, but the emojis themselves are, again, just stupid little faces. Do people actually worry about this stuff? Jailbreak also accuses Gene of trying to take credit for her ideas “like all men take credit for women’s ideas,” even though he’s simply acknowledging her idea in the scene in question. If acknowledging things were the same as taking credit for them, then I would be taking credit for every movie I’ve reviewed, including this one. And God knows I don’t want to take any credit for that. Wow, I’m really getting sidetracked. I guess talking about pretty much anything is more fun than talking about the plot of The Emoji Movie. But one must finish what one started. So anyway, the trio of Gene, High-Five and Jailbreak set out on an adventure through Alex’s phone, in hopes of breaking into “the Cloud,” where Jailbreak can reprogram Gene, and she can finally be free of the stereotypes of Textopolis. Along the way, they plug as many apps as possible; including Twitter, FaceBook, YouTube, Instagram, Candy Crush and Just Dance. Oh yeah, and a “piracy app” which Alex has on his phone for reasons the film conveniently ignores. Meanwhile, Gene’s meh emoji parents Mel and Mary – whose names couldn’t even be spelled “Mehl” and “Mehry” because that would require some thought – set out on their own journey to find their son in an unnecessary subplot. There is yet another side story involving Alex himself, and his inability to communicate with his crush through emojis (if only there were some way for humans to communicate other than goofy faces on our phones). Things grow ever urgent as the malfunction of Gene sends Alex’s phone into a fritz (I’m sure the piracy app has nothing to do with it), and Alex makes an appointment to have his phone wiped clean, which would erase all the inhabitant of his phone, emojis included. Why Alex doesn’t try resetting his phone or any other standard method before jumping right into having the whole thing erased, I’ll never know. How does this all resolve, why, by Gene making a series of faces in a single text message sent to Alex’s crush’s phone which, according to said crush, proves that Alex has a way of expressing his feelings. The two end up together, and Alex decides not to have the content of his phone erased. Damn. Under any other circumstance, I’d hate to give away any ending. But the resolution of The Emoji Movie is just so bad on so many levels that it would have to be seen to be believed, and I don’t want to put you through seeing this movie. So hopefully my explanation gives you enough of an idea. Again, the kid gets the girl in the end because of an emoji. It’s such a crap ending, it could be voiced by Sir Patrick Stewart. Sony Pictures Animation doesn’t have the best track record for animated features, but most of their resume is inoffensively mediocre. But The Emoji Movie… this is just bad, bad, bad. Sony Pictures Animation still has the budget to provide clean, colorful animation and a talented (and wasted) voice cast. But not even the shiniest animation or the most acclaimed voice actors could save material like this. There’s not even a joke in the movie that works. Within five minutes we have an Australian-accented shrimp emoji show up who comments how he needs to “get on the barbie.” It never gets better from there. P.S. The poop is voiced by Sir Patrick Stewart. i’m never going to get over the fact that they put popeye and medusa on the backburner for “creative differences” yet this got the go-ahead with little to no issues at all. Dang! Who else was bidding for it?! As sad as it is that Popeye got canned (and this monstrosity was spewed out), at least that freed up Genndy Tartakovsky to make that incredible fifth and final season of Samurai Jack. warner bros and paramount. if you ask me, after hotel transylvania 3 genndy should just look for work elsewhere. i heard that craig mccracken’s developing a pilot for a new show. Honestly, the Hotel Transylvania movies are beneath Genndy’s abilities. They could be much worse, but when you remember this is the same guy who created and directed Samurai Jack and the original Clone Wars cartoon, you have to wonder why he isn’t bringing something like that to the big screen. I bet Warner Bros. is doing backflips right now.